In the 19th and 20th centuries the town really started to grow thanks to industrial growth. 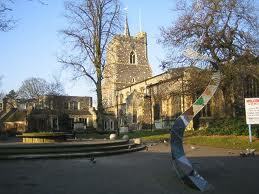 The Industrial Revolution put in place lots of transport through Watford which encouraged an industry and population boom. Some great places to visit if you’re ever on a day out would be the Watford Palace Theatre which has many dramas, pantomimes and world premieres. For music and film fans the Watford Coliseum will be of interest, it’s been used in recent years to record soundtracks for many blockbuster movie series, including Star Wars and The Lord of the Rings. And if you’re lucky there are occasional music performances by big name international artists. With around 100,000 who’ve chosen Watford as their home it’s meant that there’s been a lot of opening for businesses, from shops to activity based companies that offer great experiences. More venues are opening each year and the catering industry is thriving, especially if you hog roast cater like we do. Lately, these last few days, we’ve been blown away by how many new clients have called to book a succulent hog roast, and more impressive still is how many new top quality venues we’ve been booked at. 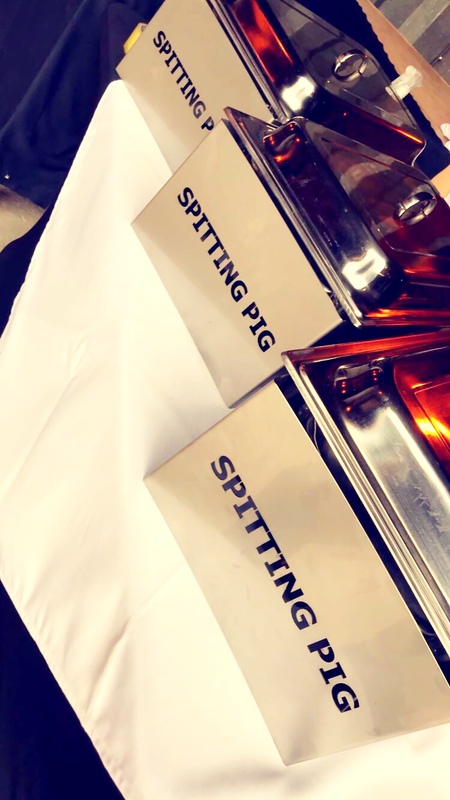 Assuming you’ve found a great venue, the next step is to find the best caterer and that’s where Spitting Pig come into the picture, to create mouth watering hog roasts for a breakfast, lunch, dinner or evening buffet. Taking on every event with an enthusiasm rarely found elsewhere we quickly cut our teeth and made a name for ourselves in catering circles; it wasn’t long after that people in the street started to know our name. 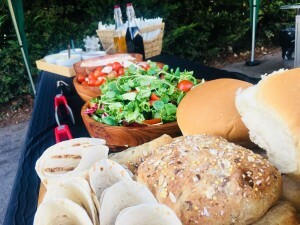 We recently catered at a school prom in Watford for 130 guests in which our traditional hog roast took centre stage but we also cooked chicken for the event too. We arrived at the venue hours before the students and teachers did and began to roast the hog on the patio around the back of the hotel it was being held at. There was plenty of cooking and preparing that needed to be done before the meal would be ready so it was good that the teachers had plenty of awards to give out such as best dressed and so on and so forth. 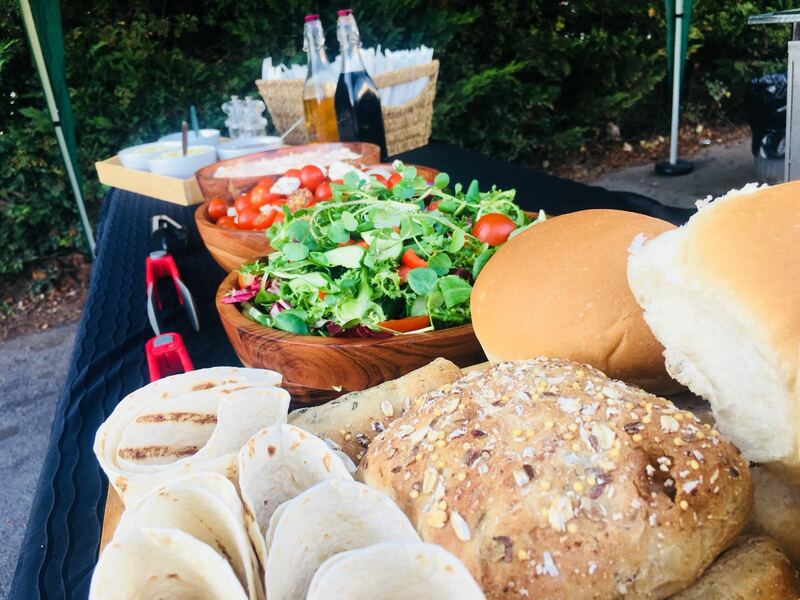 Once the prizes had been handed out we began to serve the spit roasted meats with their delicious accompaniments and the guests could choose from a selection of salads and roasted new potatoes in rosemary and garlic. The feast didn’t stop there, with chocolate torte being served as dessert to those who had any appetite left. The teachers had arranged for a DJ to play the night out as we cleared up and left the party. Knowing that we’re the company go to if you want a first class hog or spit roast with the service to match, clients come to us because we’ve shown time and time again over the years that we have what it takes to do the job best, without any hiccups whatsoever. Spit roasted pig in a roll has proved to be our client’s favourite choice, which is convenient because it’s our favourite too, hence, our name. If you want the extra flavour and theatre of a whole roasted pig cooked for hours and served on fresh rolls of bread with apple sauce and stuffing then it’s us you want to book, because nobody can create a hog roast Watford to compare to ours. The pigs are reared free range and they’re cooked fresh, we don’t freeze for extended periods of time as is often the case with some caterers. The other trick up our sleeve is that we have the money and the knowledge to make our own brand of hog roast machines, in doing that we have the tools to make the best hog roasts, the meat is extra succulent and you can rest assured the crackling has an added bite to it! Not only can you use us for hog roast hire Watford but you can buy one of our pigs at that. With both there’s nothing to stop you from creating a 100% authentic Spitting Pig roast. The superior flavours of our hog roasts can now be had if you hire a machine and buy a pig, and you can do it all in the comfort of your home. It’s not necessary to buy the pig though; you can hire a machine by itself with hog roast hire Watford and then buy your own pig, or buy something completely different even. With the machine you can roast anything you like. The choice is yours. Whether you want a machine or the full catering package, just call us to discuss your event.